Cremains encased permanently in a spiral pendant with a dotstack edging, blacklight reactive UV colored glass, and solid color backing. 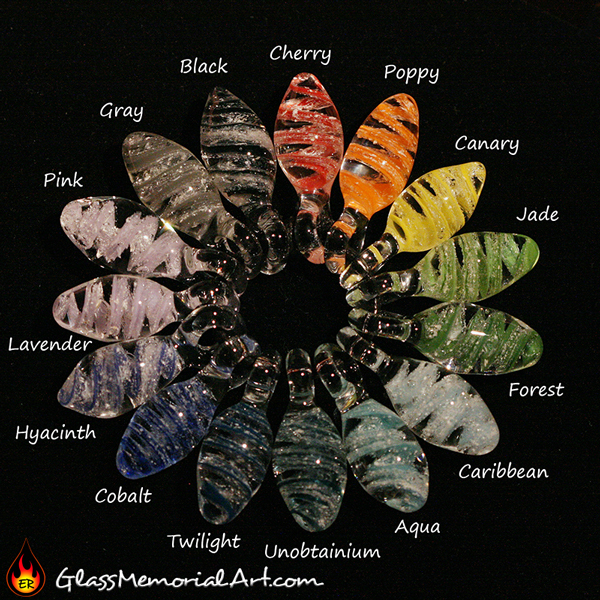 Below the spiral of ash is a stunning opal in the shape of your choice. Examples shown are under normal lighting and blacklight. This pendant can be created in any of the available colors, and inscribed at no additional cost.